At Lootah Perfumes and Crystal Maryana Beauty Center – you can now indulge your senses in the finest fragrances, and pamper your body with some of Oman’s classiest make-up and beauty treatments. Lootah Perfumes have a long, extensive, and rich history in the Arabian Peninsula and GCC countries. Tell us how the company got to where it is today? Lootah Perfumes is a product of the seeds sown by Saleh Bin Nasser Bin Lootah in the 1950s. The company has had a rich journey since it began, due to the strong vision and ideals that its forefathers had for perfection and curation – and the distinctive array of scents Lootah is now known for. Indeed, Lootah Perfumes are the result of a legacy that has been developed, nourished and passed down from generation to generation, to become what we are today. Many Al Mouj Muscat residents and visitors will be thrilled to know you now have a presence here. Why did you select Al Mouj Muscat as the new location? Al Mouj Muscat, we believe, is both a hub for Oman’s trendy urban crowd, and it also has a thriving global community. So, it made total sense to introduce our products to the Al Mouj Muscat market audience. Not only because of the similar vibes we share, but also because of what Al Mouj Muscat represents in the bigger picture – the ‘now’ of Oman. Lootah Perfumes are conceptualised and created with both local Omani and international influences and elements in mind? At Lootah, we are dedicated to providing luxurious incenses made with the highest quality elements, which combine the scents of east and west. Scents are a part of the rich heritage of Oman, and revered all around the world. The products that come from Oman – like Frankincense or Agarwood – are the highest quality raw materials available for perfume connoisseurs. Oman is called ‘The Land of Fragrances’ for good reason. So, of course, Oman really is an inspiration for our scents. Could you give us a brief overview of your current product offerings? We offer a range of products like Oriental and French perfumes, incenses, fragrant Oud, luxury perfumed blended oils and the finest Agarwood. Each product is made entirely from natural ingredients, using techniques and recipes passed down through generations of skilled perfumers. We also offer deluxe sets, accessories and customised gifts. Are there any specific fragrances our men and women should keep in mind for summer? Yes, our latest collection features scents that bring out the freshness and energy that is required to embrace the summer with grace. Like the floral fragrance ‘Flair’ for Her, or the oriental ‘Lucent’ for Him and Her, or the woody ‘Resolute’ for Him. Also check out the almost addictive ‘Immerse Oud’ for Him and Her. Crystal Maryana Beauty Center: Look and feel beautiful! Al Mouj Muscat residents that want to look and feel beautiful can now head to Crystal Maryana Beauty Center, which is conveniently located on the second floor of The Walk. Sumaiya Al-Riyami is the Center’s founder – as well an internationally renowned “Kryolan Pro Team” make-up artist, certified make-up trainer, and Oman National Day “40 Women Award” recipient – and we chatted to her to find out more about this exciting project. Could you give us an overview of what Crystal Maryana Beauty Center will be offering clients at The Walk? I’m proud to say that Crystal Maryana Beauty Center is now a well-established brand in the Sultanate. We are well-known for our make-up services – especially our bridal make-up – but we also offer other everyday beauty treatments including hair, body, facial, nails, keratin/protein, henna, and waxing services, and more. We’ll be offering all of this at The Walk, and we’ll be doing special discounts on treatments for Al Mouj Muscat residents. What was the motivation behind your establishment of Crystal Maryana Beauty Center at Al Mouj Muscat? 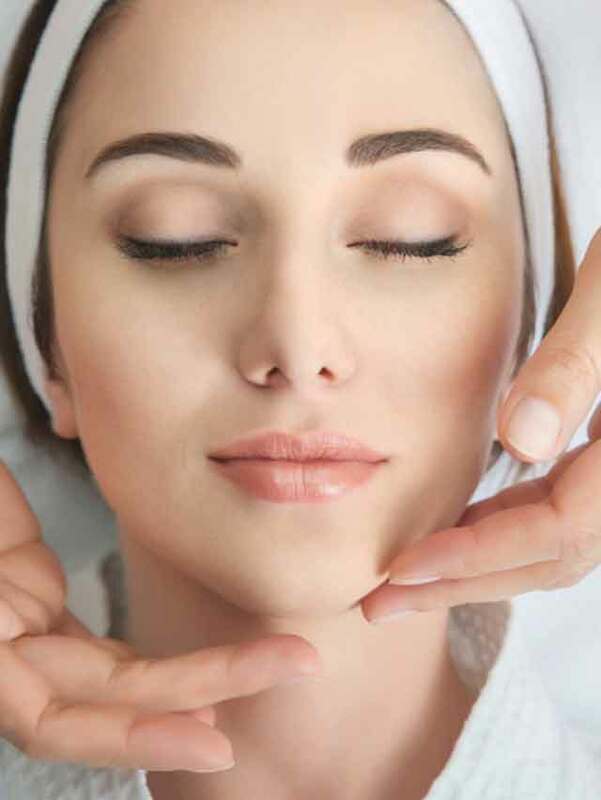 We do already have a successful Crystal Maryana Beauty Center branch in Al Kuhwair, but we also wanted to expand our presence into Al Mouj Muscat, and serve residents and visitors with a convenient, easy-to-access beauty center and spa – and which offers a full range of treatments, administered by highly trained therapists, in a more spacious environment. Are there any specific treatments that you’d love to tell the community about? Alongside our extensive portfolio of treatments and make-up services, we are the exclusive distributer for Kryolan in Oman and the UAE, and we also stock world-renowned brands like Jean D’Arcel Cosmetique. We’re also excited about having a separate reception area and rooms for our male therapists and hairstylists. We have a team of highly professional and certified therapists. Every year, we also have trainers from outside the country coming to update our Crystal Maryana Beauty Center therapists on the latest products and treatments. We will also be stocking a range of beauty and make-up products at the Center. Are there any beauty tips or advice that Al Mouj Muscat residents should especially be aware of this summer? For summer, I would highly recommend our skin care range by Jean D’Arcel Cosmetique for taking care of your skin. We also have a range of excellent products for hair care in summer. I would encourage you to use the best products that are suited to your specific skin and hair types – and to consult a specialist therapist about what treatments and products will work best for you at this time of the year. Spread along a stunning 6 km stretch of Muscat’s coastline, this world-class Integrated Tourism Complex comprises a group of luxury residential properties including Villas, Townhouses and Apartments, commercial units, retail and dining facilities and Oman’s only signature designed PGA Standard 18-hole links golf course, designed by Greg Norman. Al Mouj Muscat is also home to the 400 berth Al Mouj Marina, Oman’s largest private yachting hub and The Walk, a 70-unit retail area which forms the commercial and leisure hub of the community. Most recently Al Mouj Muscat launched Muscat’s first public square, Marsa Plaza - a leisure destination and gathering place for residents and visitors, and an arena for live performances and community events. Al Mouj Muscat is also home to the first Kempinski hotel to launch in Oman, as well as 4-star hotel, Mysk Al Mouj. Al Mouj Muscat is a phased development which provides a world-class lifestyle destination. The next phase of development will see even more residential leisure and hospitality offerings.